Annapolis, MD – The painting, “Spinnaker Finish,” by Kathyrn Leonard was selected to be represented at the Hospice Cup XXXI – America’s largest charity regatta. The event will be held on Saturday, September 22, 2012 on the banks of the Chesapeake Bay. Ms. Leonard’s painting can be viewed at www.hospicecup.org. Community members selected Ms. Leonard’s painting during a reception at The Circle Gallery in Annapolis on February 10, 2012. Ms. Leonard, a native of Annapolis, is a full-time artist who also teaches art classes to adults and children at Studio 7. Her artwork is recognizable for her distinctive use of textures, colors and patterns. When she is not painting, Ms. Leonard is a part-time chef, cooking for sailing teams and occasionally travels with them overseas. “My mother was cared for by hospice so I feel especially proud to be a part of this wonderful fundraiser. Hospice really helped my family so contributing this painting is my way of giving back,” said Ms. Leonard. The limited edition autographed artwork will be available for $35 at various Hospice Cup, Inc. events or by emailing hospicecup@aol.com. Entering its 31st year of racing on the Chesapeake Bay, to date the Hospice Cup has raised more than $8 million to support Hospice programs in local communities around the Maryland, Virginia and Washington, D.C. area. Hospice Cup funds help to pay the expenses not covered by Medicare or private insurance. These dollars enable the hospices to provide skilled compassionate care, comfort and dignity to the terminally ill, their families and friends, regardless of their ability to pay. Hospice enables patients to carry on alert, pain-controlled lives so their last days may be spent in comfort, at home or in home-like settings. Hospice care concentrates on care, not cure. Bereavement counseling and support groups are part of hospice services after the loss of a loved one. The annual Hospice Cup regatta is a cooperative effort. It is organized by the all-volunteer Hospice Cup, Inc. (HCI) Board of Directors, an Executive Director, participating area hospices and hundreds of volunteers. 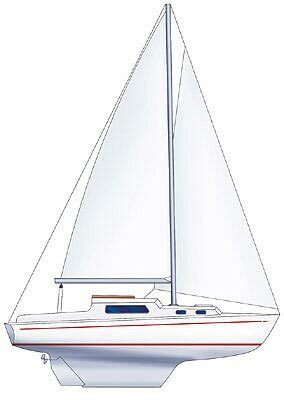 The race is managed by Shearwater Sailing Club and assisted by Storm Trysail Club Chesapeake Station. The 2012 participating nonprofit hospices include: Hospice of the Chesapeake, Capital Hospice and Montgomery Hospice. Each participating hospice must meet the standards of the National Hospice and Palliative Care Organization. The Hospice Cup race is sanctioned by the Chesapeake Bay Yacht Racing Association (CBYRA) and counts for CBYRA season-long High Point competition. Hospice Cup, Inc. is a 501(c)(3) non-profit organization chartered under the laws of the Commonwealth of Virginia, Maryland and the District of Columbia for the purposes of conducting a benefit yacht race and related events. Hospice Cup, Inc. is also a proud member of the National Hospice Regatta Alliance. We are proud to represent one of the newest designs from a renowned design firm. The Sparkman & Stephens 30 was originated in 1935 by Olin Stephens with a design called Babe. She went on to win several off-shore and on-shore races. In 2005, Olin Stephens was asked which design he would like to see rebuilt and reintroduced using today’s state of the art manufacturing methods and construction. Olin stated that Babe was one of his favorites. 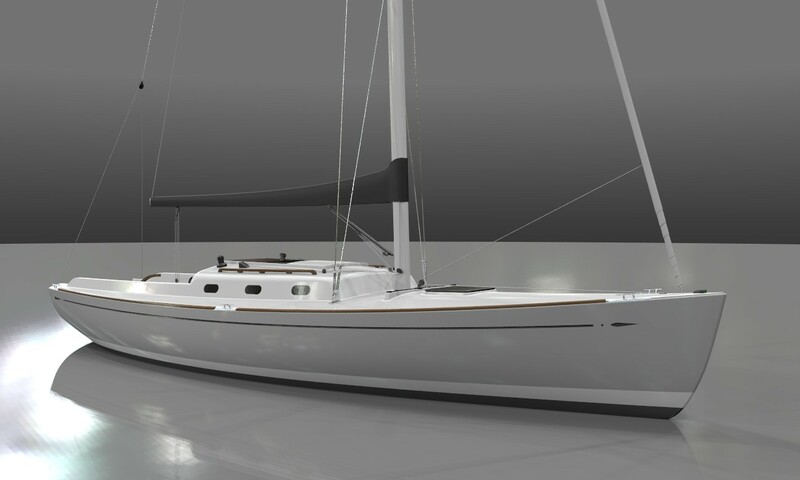 After several revisions, the S&S 30 was recreated and is now offered for summer of 2012 launch. Happy President’s Day from all of us at FHY! President’s Day is intended to honor the presidents of the US, however, we find it to be an excellent opportunity to appreciate the beauty of a couple of ex-presidential yachts. The 104 ft long, wooden hulled, USS Sequoia was privately built in 1925 for $200,000. Designed by John Trumpy Sr., she unofficially replaced the Mayflower as the presidential yacht so that Herbert Hoover, who did not support prohibition, had a yacht to go out fishing and drinking. Sequoia was used all the way into Jimmy Carter’s presendency, who sold her in 1977. Her accomodations included a presidential stateroom, several guest bedrooms, a galley and dining room. She was refitted with an elevator to accomodate FDR but Johnson later had it replaced with a liquor bar. A 62′ cutter rigged yawl, Manitou was commissioned by James R Lowe in 1937 to win the Chicago Mac race. 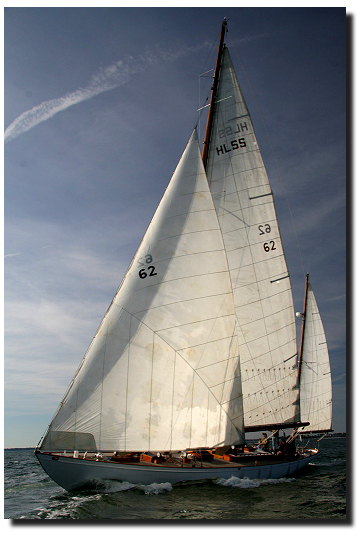 Designed by Olin Stephens and built by the Davis Brothers of Maryland, she had no trouble winning the race. However, she did not become nationally famed until 1961, when John F. Kennedy renamed her Honey Fitz and she became the presidential yacht for his and LBJ’s terms. Manitou was sold at auction in 1968 to the Harry Lundeburg School of Seamanship and remained a teaching tool for the next three decades, despite several attempts at purchase. In 1999, she was finally sold back into to the Lowe family, who had originally commissioned her build. 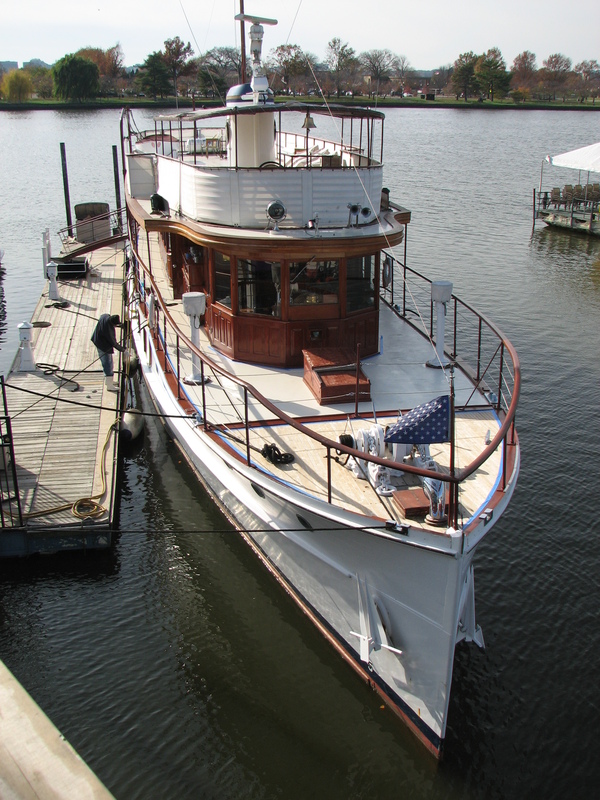 After a major refit, she is now on display at the Calvert Marine Museum in Solomons Island. Laura Kilbourne, the granddaughter of James Lowe, is currently offering her for sale once more. We are fortunate to have a brightwork genius, Glenroy, home based across the creek from Forbes Horton Yachts. He is from the island of Bequi and is currently taking excellent care of several of the finest yachts on the East Coast. Call us if we can make an introduction! Everyone in Annapolis seems to be getting very excited about the return of Matt Rutherford from his amazing non-stop solo sail around the Americas. He is currently working his way up the coast of Brazil. 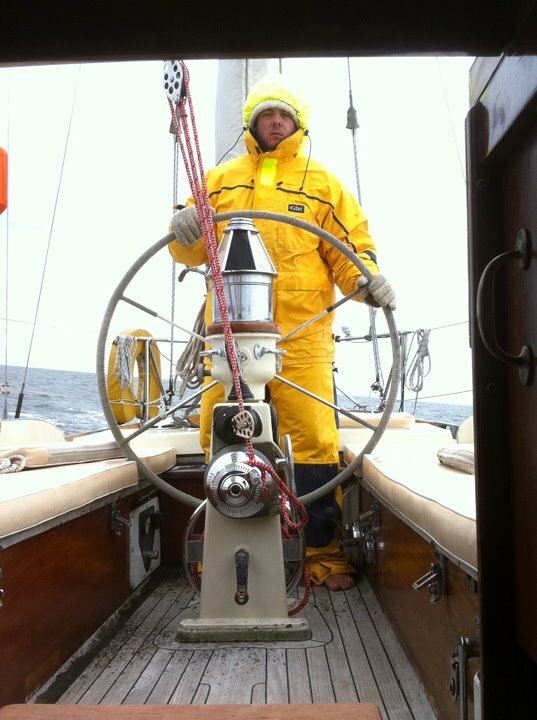 Word is that he is due back in mid-April after departing last June in an Albin Vega 27 that he can’t even stand up in. 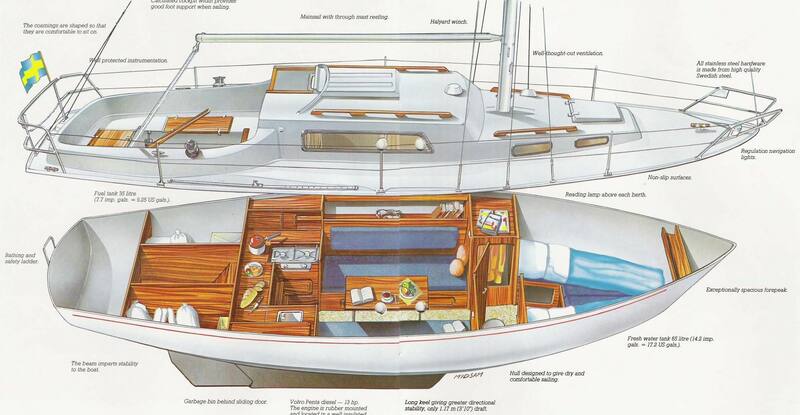 Just for some perspective, here’s an accommodations layout of the Albin Vega 27 that Matt has spent the last 7 months aboard. I doubt many people thought this tiny boat would make it from Annapolis to Bermuda, let alone around the Americas. But Matt certainly has everyone believing now. His story was recently featured in the Washington Post and rumor has it that the Navy band will greet him upon his return. Lloyd Cooper, FHY broker, at the helm of Windalier sailing head on into the winter winds from St. Mary’s back to Annapolis. The head winds were so strong that our speed over ground was nearly zero when we wern’t moving backwards. We were forced to tie up at Solomon’s Island and drive the rest of the way home. Despite the icy winds, Lloyd’s concentration seemed to keep him warm, even without shoes! 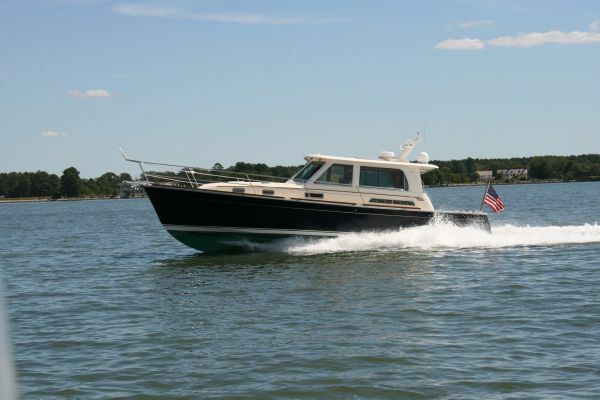 Sabre Yachts has been offering some great boats of the Downeast Genre, especially of late. Their purchase of a tooling company has allowed them flexibility and latitude to meet the expectations of their devoted client base. Last year while selling a new 38, we had the opportunity to closely inspect this 40 that has only two seasons of use and shows very close to new boat condition. She is offered for sale to make room in the slip for a larger (guess what?) Sabre! Call us to see this remarkable offering before spring arrives and she is history…..
Forbes Horton Yachts is more than just a yacht brokerage. 25 years of yacht sales experience and two generations in the marine industry, make us experts. Our shared love of boating makes us exceptional. Our brokers are boaters first, giving them a unique insight into the industry that only comes with experience. We love boats and we talk about them 24 hours a day. So, we thought we’d share some of the more interesting insights, stories, and experiences that we run into on a daily basis.